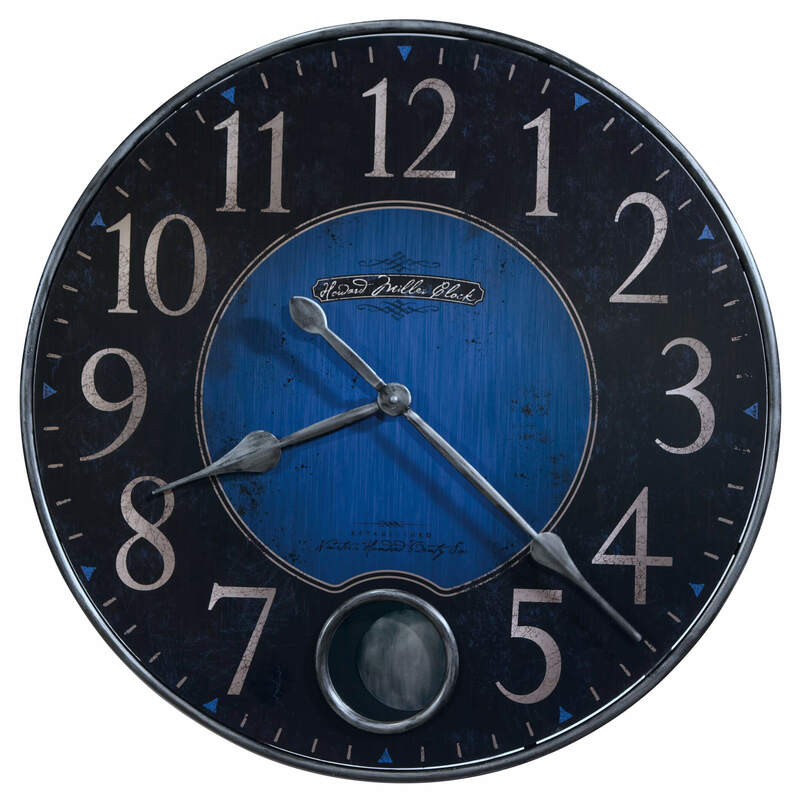 This 26.25" gallery wall clock features an antiqued cobalt blue and black dial framed in an antique nickel finished metal frame. The pendulum peep hole, located at the "6" position, is surrounded by an antique nickel-finished frame and covered with glass. The pendulum is also finished in antique nickel. You will save $93.30 (30 %) on this Howard Miller Harmon II 625-568.